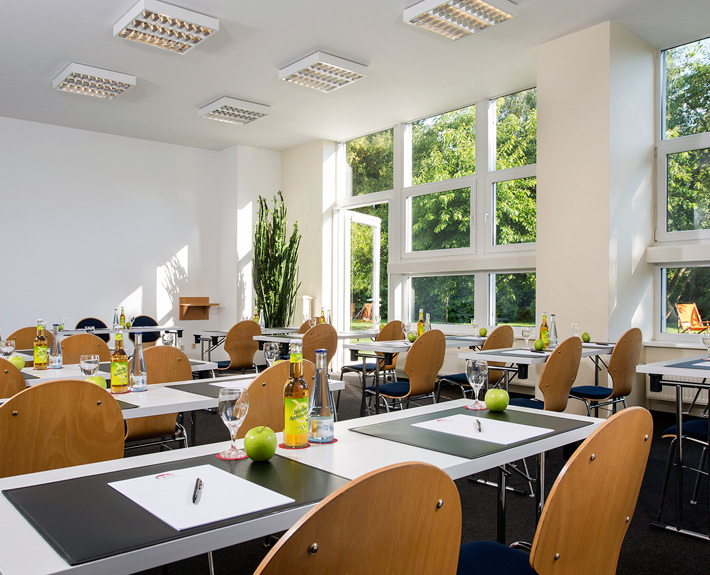 The conference hotel DAS SCHMÖCKWITZ is located in South-East Berlin. 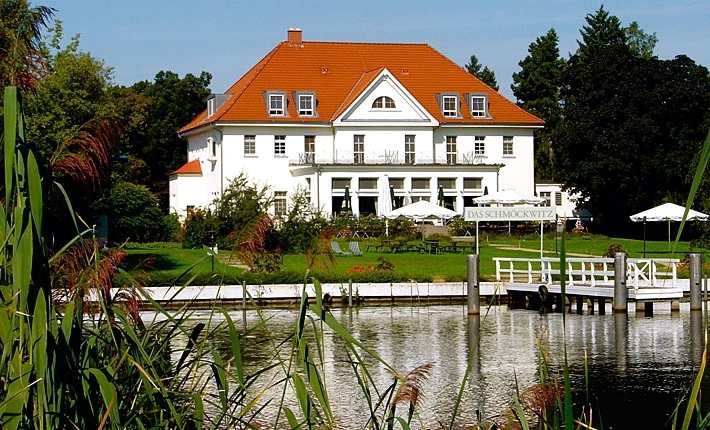 The historic mansion and the energizing nature of the Wernsdorfer Lake area around it create a feeling of being far away from everyday life and routine. Focus on the essentials. Enjoy creative, productive and joyful days. The hotel offers 93 rooms which are located either in the historic mansion (4 stars) or in two guest houses (3 stars) nearby. A warm welcome is extended all guests, whether they are conference participants, family members, attendees of meetings or individual travellers. The upmarket banquet rooms in the manor house and the newly constructed conference building with modern meeting rooms, offer the perfect setting for any occasion. 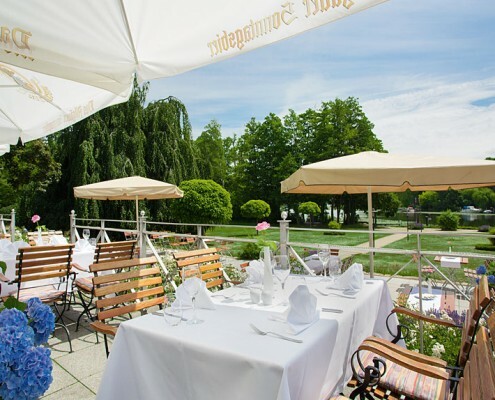 Enjoy our culinary offers while taking in the impressive views of the lake. Our restaurant opens daily at 7 a.m. for hotel residents and members of the public. Visit our restaurant and our lovely bar.